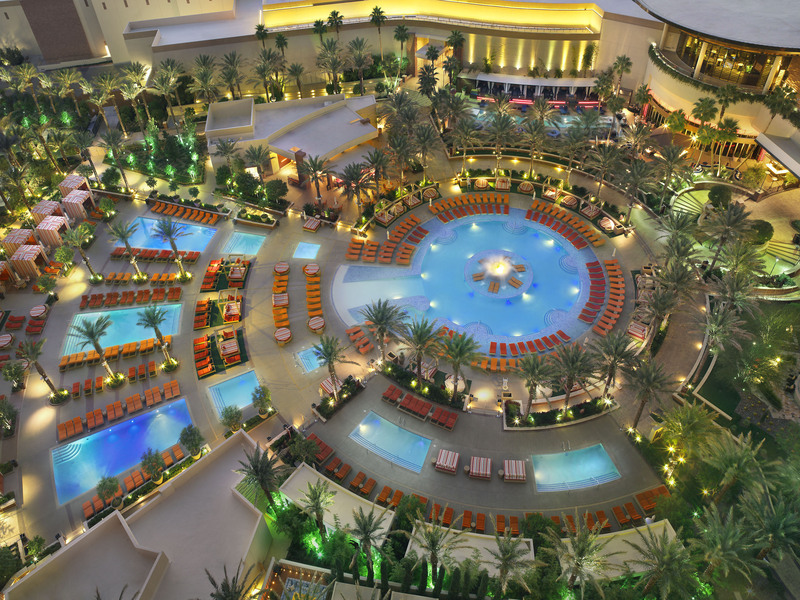 The Red Rock Casino Resort & Spa is just 10 miles west of the Las Vegas Strip, but it might as well be a world away. Yes, there is casino gambling at the resort, but it’s not in your face (or up your nostrils). 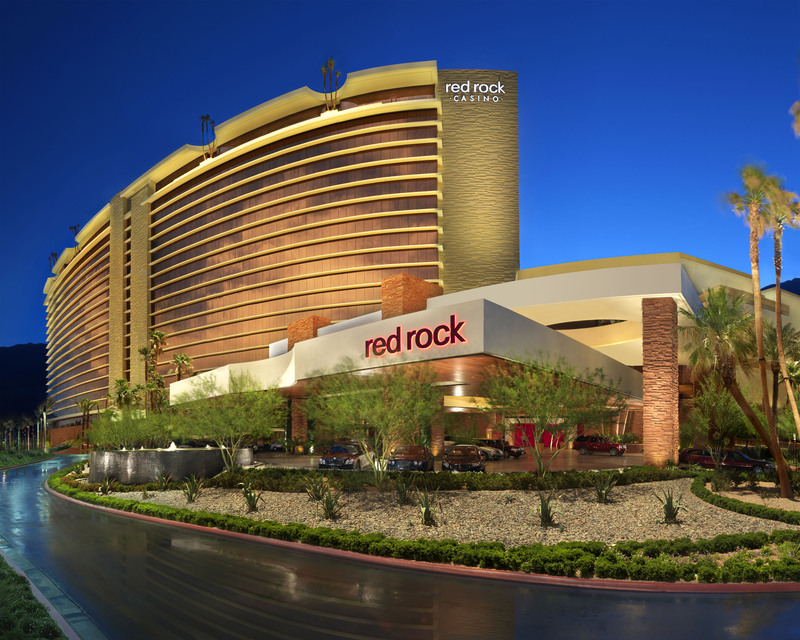 Check-in at Red Rock is the same as it would be at any upscale resort; you don’t have to battle your way through slot machines and blackjack tables to get your room key. And that, for me, is the best way to visit a gambling destination. Even better, the resort is located on 70 acres of land amid some spectacular mountain and desert scenery. 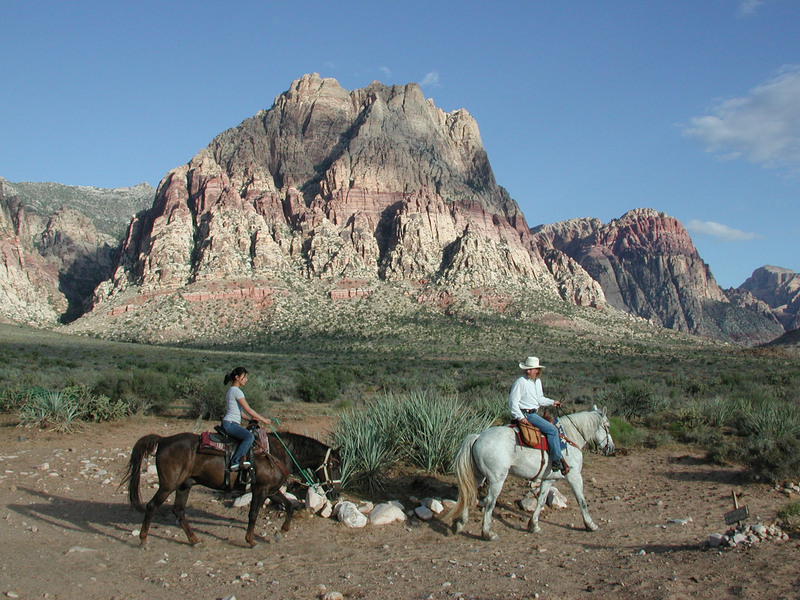 This means an abundance of great outdoor activities like horseback riding, hiking, rock climbing and biking at Red Rock Canyon, rafting at Black Canyon or kayaking at Lake Mead. When weather and winds permit, the balloon rides are glorious. At night, from some of the rooms and suites, you can see the bright lights of the Strip, and if the need for those bright lights arises, there is complimentary shuttle service to the Strip (as well as to the airport). The architecture is classic Vegas, but with a difference: wherever possible, it incorporates natural light. The resort is built around its “Backyard” pool, which has 19 private cabanas, a waterfall island and swim-up gaming. The layout means that the restaurants have outdoor patios, a very appealing feature when the weather is balmy. I was able to spend a few days at the resort prior to attending a convention in downtown Las Vegas, and I looked forward to the absence of smoky rooms and the noisy machines. When I first entered my room, I took in the space, the luxurious bathroom (with soaking tub) and fine amenities—and assumed I’d been given an upgrade. Turned out, I had not. What I had was a standard room: 515 square feet, designed in a modern contemporary décor that is both classic and cool. I had not ever seen amenities like these in a standard room. No wonder Red Rock picked up the AAA Four Diamond Award when it opened and was named one of the world’s best new hotels by Condé Nast Traveler magazine. Later, I saw some of the resort’s actual luxury accommodations, starting with the Signature Suites, which range in size from 1,030 to 2,065 square feet and have living rooms, wet bars and dining areas incorporating full-size tables—making the spaces perfect for family groups or for entertaining guests. 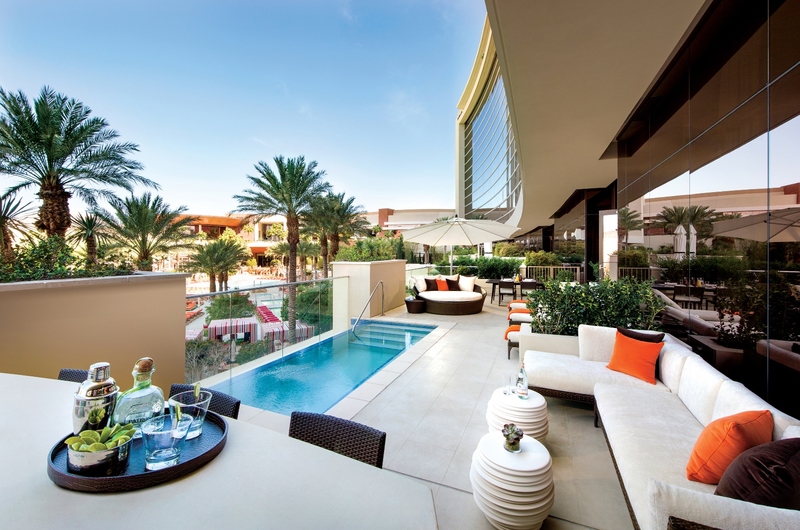 Next came The Villas, over-the-top accommodations measuring from 2,575 to 3,090 square feet of pure Vegas luxury that includes private patios and pools. 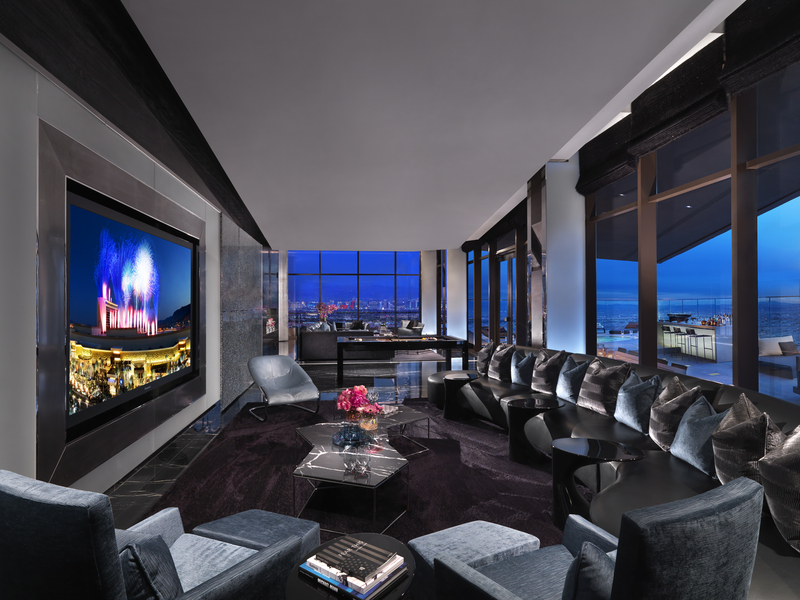 And for high rollers and guests willing to spend $10,000 a night, Red Rock has what is probably the most eye-popping accommodation in Vegas: the One-Eighty suite, a 7,500-square-foot, two-bedroom suite with dazzling views of both the Las Vegas Strip and Red Rock Canyon National Conservation Area. The black marble entry sets the tone for this fantasy suite where everything is way, way, over the top. The living area has a massive round rotating couch, a full bar with seating for four, a dining table that seats 10, a pool table–and bedrooms fitted out with the best of everything, from linens to technology to fireplaces. Outdoors is a huge private patio with an equally huge Jacuzzi® tub. Red Rock also offers many rooms and suites that conform to ADA guidelines and include lower closet shelves, grab bars in the bathroom water closets, lower-placed peepholes, wheelchair accessible vanities and bathroom amenities (makeup mirrors) installed at ADA height. As I was spending a few days at Red Rock, I was able to sample several dining venues. At the upscale T-Bones Chophouse, I dined on a succulent perfectly cooked Wagyu filet mignon accompanied by fluffy mashed potatoes and creamed spinach—the classic steakhouse trio. The Noodle Shop was just plain fun, with a menu that features noodle bowls (like Spicy Shrimp and Hong Kong Chow Mein), soups (including not-the-usual ramen and wonton varieties) and various rice dishes (including Peking Duck Fried Rice and Bibimbap). 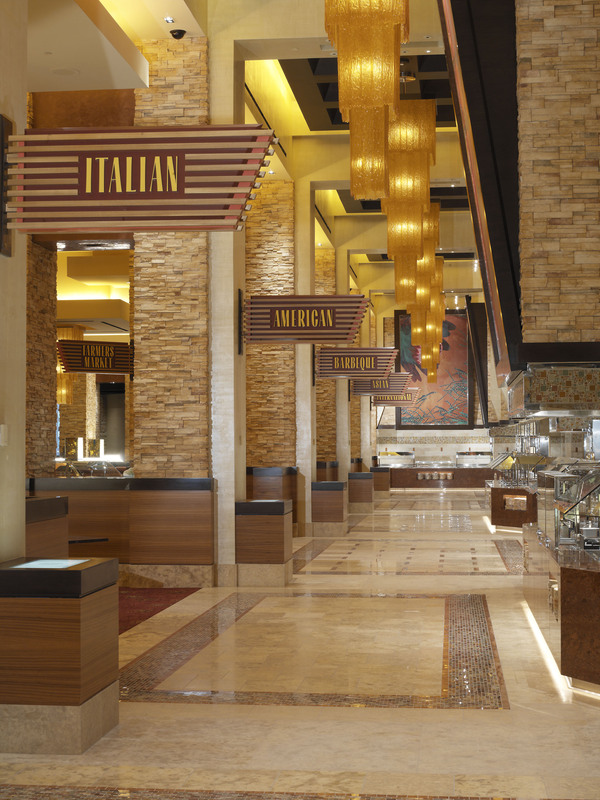 Vegas is home to scores of all-you-can-eat buffets, but the one at Red Rock stands out, both in variety and quality, as reflected by the number of local customers and the “Best in Vegas” awards given by local publications. Assistant Executive Chef John Kujundzich is rightly proud of the offerings at the aptly named Feast buffet, which he describes as “the best of everything.” Some buffets, he says, focus on price, some on variety, some on quality. “We do all very well,” he says—and the proof of his statement is right there in the hundreds of choices, from American to Italian to Chinese and sushi and much more. All stations are marked to indicate dishes that are vegetarian, vegan and gluten-free. Chef John takes special pride in Feast’s rotisserie pork shoulder, which is brined for 24 hours in water, brown sugar, apple juice, rosemary and juniper berries, then rotisseried for five to 6 hours and sliced thin for extra tenderness. The buffet presents special dishes for such holidays as Thanksgiving and Christmas as well as for various ethnic celebrations. Live cooking stations prepare dishes à la minute. Desserts are made in the Red Rock’s own bakery, which supplies all of the resort’s restaurants. (The evening I dined at T-Bones, the dessert options included the odd-sounding but luscious foie gras macaroons.) For special occasions like children’s birthdays, the bakery makes special cakes or cupcakes with children’s names piped in icing. The abundance of delicious food at Red Rock is somewhat balanced by the resort’s state-of-the-art fitness center, which has just about any kind of machinery and exercise option a guest might want. Another option for physical activity is bowling at Red Rock Lanes, the largest luxury bowling center in Las Vegas, with 72 lanes, a lounge, game room and deli snack bar. My “exercise” of choice is always a walk to the spa at any resort I visit, and this time was no exception. Red Rock’s spa, which was named one of the Top 100 Resort Spas by Condé Nast Traveler magazine, is pretty spectacular, a sleek, sophisticated retreat of more than 25,000 square feet offering a full complement of body treatments, facials and nail services. I chose the 2.5-hour The Taste of Red Rock package, which included a choice of the signature massage or facial, a spa manicure and a spa pedicure. I chose the massage, which un-knotted my shoulders and eased away all the usual tensions I carry. The mani-pedi was perfect, not only because the service was first-rate, but also because the esthetician used a disposable plastic liner for the pedi bowl, a measure that always pleases and impresses me. So after being pampered in the spa, after some memorable meals, after being indulged in so many ways, I headed off to the rigors of my convention. But I would remember my days at Red Rock when I was overtired–or strapped into a tight coach seat for my flight home.